You are to design a safety symbol for a workshop environment. The symbol must encourage people to be safety conscious in any aspect of safe working. 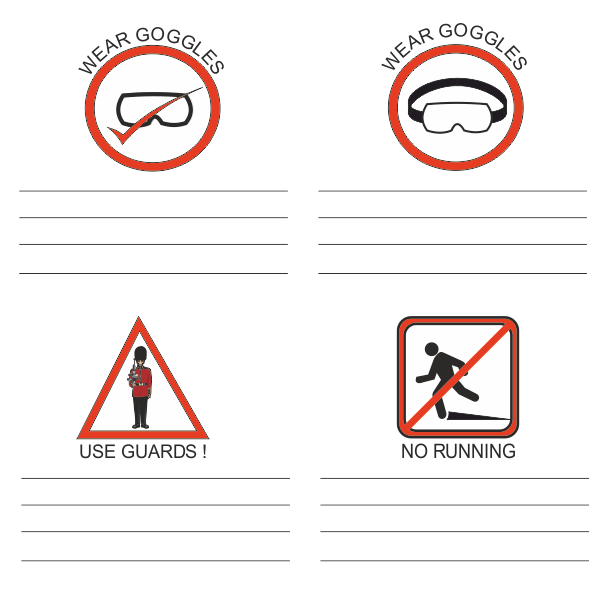 For example, you may wish to design a symbol that reminds anyone using a machine to wear safety goggles, or to use the guard. Alternatively, you could design a symbol to remind pupils not to run in a workshop. 1. A successful logo is usually very simple in design. 2. The logo is easy to understand, even at a distance. 3. One or two colours are normally used. 4. Any writing is presented in a simple way and is easy to read. 5. 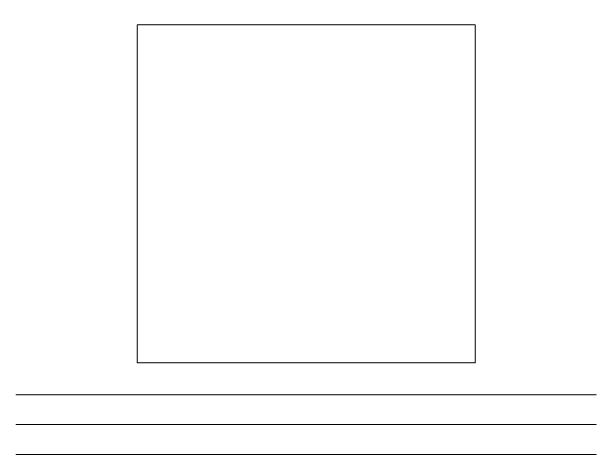 A simple drawing or image is sometimes used. Look at each of the examples below. Do you think they are good safety symbols? Underneath each symbol write what you think about each one. Further examples of safety symbols are shown below. The diagrams / pictures could be even simpler and include less detail. In the space below draw two rough designs for your safety symbols. Select your best design and draw it accurately in the space below. Use a ruler or T-square and set square for straight lines. Add colour and shade, remembering to limit the number of colours. Underneath your design add notes. Explain what you like about it and how it could be improved.